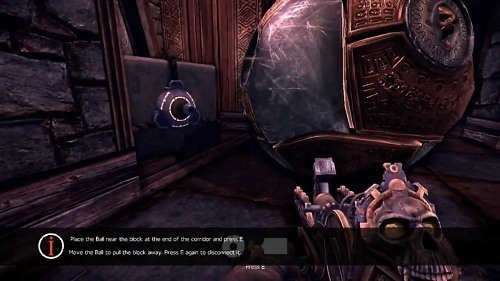 The Ball is a puzzle game that is played in a first person perspective. The game uses the Unreal Engine and originally started as a mod but after having lots of success was made into a fully-fledged game. In The Ball players will play as an archaeologist who is working on a dormant volcano in the country of Mexico. As you explore the slopes players find themselves stuck in a strange cavern which is full of ancient ruins that have never been discovered before. These ruins aren’t a walk in the park though and are filled with strange traps and even creatures that guard the ruins. These guardians are very unique and as interesting as they are scary (such as the undead gorilla). 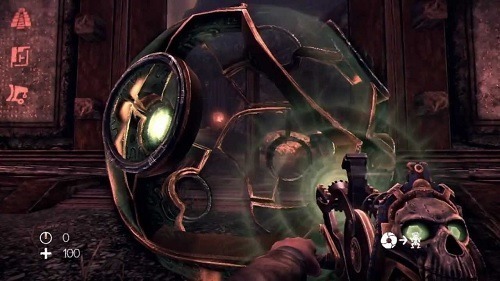 The core element in the game is the player’s ability to control a large ball through a device. Players can pull the ball towards them or launch it in a direction of their choice. This game mechanic is extremely simple but has plenty of strategies that slowly open up to the player, just like any good puzzle game. The game has a small number of levels (only 8) but each are extremely large and not short sequences by any means with players likely to spend around an hour clearing each one. Throughout these levels players can also keep their eyes open for hidden secrets scattered around the place. In addition to the main story/puzzle mode there is also a survival game mode which challenges you to survive across 4 new levels. For those players that have a competitive side they’ll also enjoy the leader boards and achievement hunting that the game has to offer. The Ball is mysterious as it is fun and has a very Portal like vibe to the whole experience as you drag your friendly ball around each level to assist you in completing puzzles and running over enemies. A first person puzzle experience. Guide your ball through the levels to help solve puzzles. Simple but hard to master gameplay makes for a great puzzle game. Fairly long story combined with a survival mode for more hours of fun. Support for leader boards and Steam achievements.